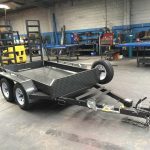 Our fabrication process involves creating different kinds of trailers with all their parts made to measure. We use top grade materials to cut, bend, weld, form and finally assemble into a finished product. 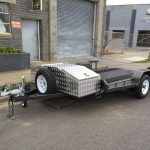 We are expert fitters and turners who take raw materials like metal and create individualised trailers, tilts, tippers, cages, storage units, cradles, and every single component that goes into making a well-designed trailer. We use precise drawings, which have to be absolutely spot on before we begin the fabrication process. Titan Engineering will work with you to make sure that before we commence fabrication, the design is well thought, considered and can do the job that you need for it to do. When it comes to our fabrication stage, we don’t just make, we create. Contact us here to discuss your needs and particular situation. At Titan Engineering we stand by our products. That’s why we offer a 2-year manufacturer guarantee on all the work that we perform. 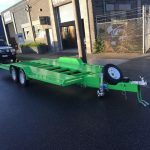 We are proud to be leading trailer and machine manufacturer in the industry to offer this to our clients.